Want to have a great time with your family and friends AND help Meals on Wheels of Albuquerque too? If so, we have the perfect event for you! 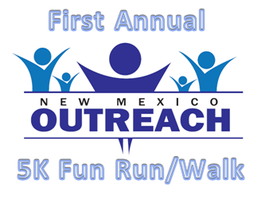 On Sunday, April 26th, from 9 to 11 AM, Meals on Wheels of Albuquerque in partnership with New Mexico Outreach and Silver Horizons, is holding its First Annual 5K Shop and Walk at Cottonwood Mall. This walk is designed to support nonprofit organizations that help senior citizens. Meals on Wheels of Albuquerque is one of the designated recipients of monies raised. There will be giveaways and coupons for every participant, and attendees will get to enjoy live music, visit with health and wellness vendors, and partake in refreshments. It’s a great way to keep fit, have fun, and get all the “juices flowing”—all the while supporting a very a worthy cause!